The famed Washington Park neighborhood of Denver, Colorado is certainly one of the most historic and attractive places to live in the Mile High City. Featuring a welcoming combination of historic buildings and settings alongside modern, contemporary architecture that showcases the best that Denver has to offer, Washington Park is a marvelous experience for those who want to visit as well as live in this neighborhood. The park itself in which the neighborhood revolves around was first developed in 1899 by renowned architect Reinhard Scheutze. His unique design was influenced heavily by such notable people as the Olmstead Brothers and the “Unsinkable” Molly Brown. As a result, the park today is still very popular with visitors as well as those who live nearby thanks to the ample space for jogging, walking, biking and other activities supported by the park. The unique layout and wide open space that is reflective of the Denver area itself help garner Washington Park the 2012 American Planning Association’s Great Places in America recognition. 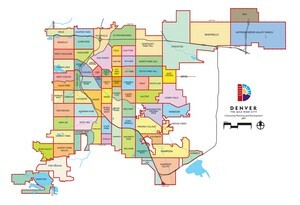 The Washington Park neighborhood is located in central Denver and wraps around the long, rectangular park which is one of the largest in the city. 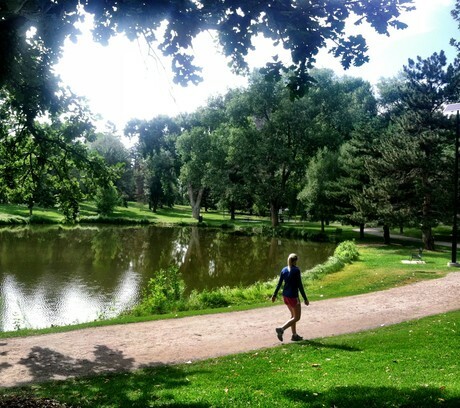 In the neighborhood, which is divided into east and west sections, there is a large meadow, two lakes, ten tennis courts, a recreational center and two of Denver’s largest flower gardens. The meadow supports plenty of lawn sports and the wide open space is enjoyed by many people each day. The neighborhood itself is replete with older houses that feature many constructed around the turn of the twentieth century. 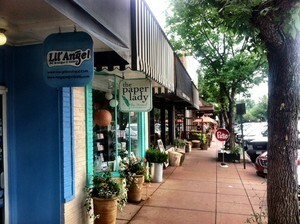 Included in the neighborhood are the boutique shops and restaurants that are nestled into the neighborhood around South Gaylord Street and Alameda Avenue which help create the unique character of this part of Denver. For those who enjoy top flight restaurants and shopping opportunities, Washington Park certainly has plenty to offer. Other features of this unique Denver neighborhood are the accessibility to the RTD Light Rail which borders I-25 along part of the Washington Park area. Also, South High School is on the south side of the park area as well. At 165 acres in size, the park itself is more than large enough to host small summer concerts, such as the one conducted by the Colorado Symphony in June each year. A recent renovation plan was completed in the spring of 2011 that helped to modernize the park even further by adding new trees, plants and major upgrades to the tennis facilities all while retaining the key elements of the park’s open spaces to be enjoyed by all. This renovation process will only increase the appeal and beauty of the park over time as it still retains the unique features that make it popular. 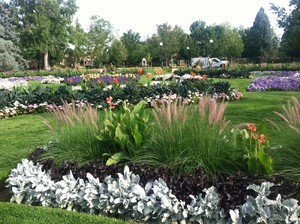 Overall, Washington Park has become one of the more desired places to live in Denver. Its central location provides quick access to virtually all parts of the city. While the park itself is a very popular place for people to visit, the neighborhood retains its quiet dignity and unique combination of history and modern attractions.